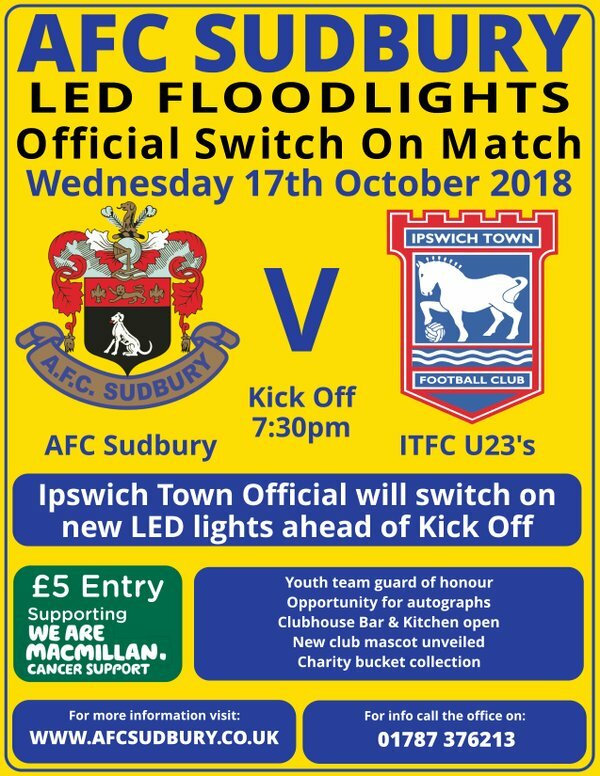 Shane McLoughlin, Bailey Clements, Brett McGavin and Thomas Hughes will be in the Blues U23s squad facing AFC Sudbury in a friendly marking the switching on of new LED floodlights at the Kings Marsh Stadium on Wednesday evening (KO 7.30pm). McLoughlin netted twice for the U23s, who are top of the Professional Development, as they drew 2-2 at QPR on Friday, while Hughes hit a hat-trick for the U18s in their 1-1 draw at Colchester on Saturday. Prior to the match a Town official will formally turn on the new lights. Admission is £5 with a donation to be made to Macmillan Cancer Support.